Up until about this time three summers ago, when I was still pregnant with Anna, we were spending a few weeks here in Germany visiting with my husband’s family and it was plum season. I know because I saw plums everywhere. 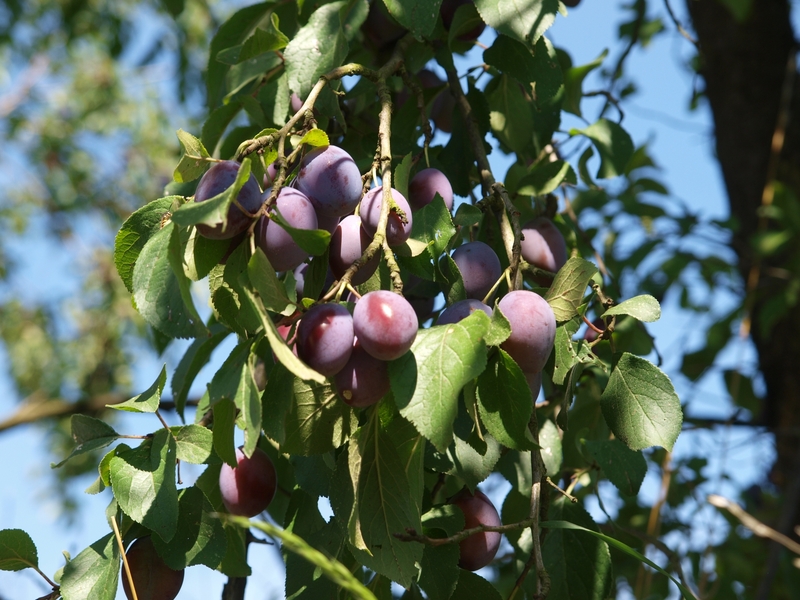 At the market, at the grocery stores, street vendors were pedaling plums, they were baked in cakes and tarts at every local corner bakery, and I had acquired a large portion of them from a nearby fruit stand. Well, with my first bite of that juicy plum I started to remember how the soft, ripe fruit melts in your mouth and then you’re only left with the pit, how you can eat them one after another and the natural sugar’s mellow sweetness lingers on your tongue like candy and how much fun it is to pick and eat them! 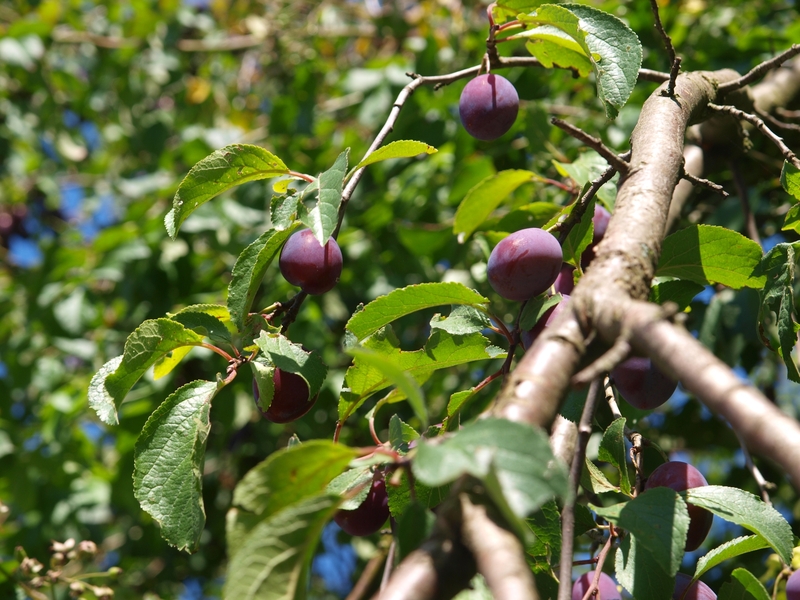 I was starting to remember the plum that I had know from my childhood. 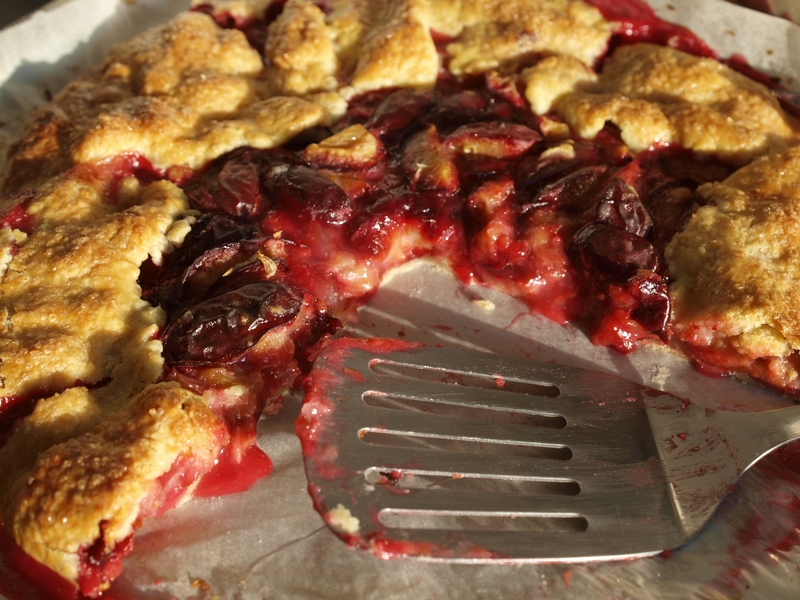 That summer I had been browsing the internet for plum recipes, specifically for a quick and easy way to use up my plethora of ripe plums and a galette, a sort of free form fruit pie, had stuck out. As it turns out, it was deliciously fresh and fruity with hints of lemon, lots of warm plum and surrounded by a delicately tender yet flaky crust. I wish I hadn’t made it the summer I was pregnant. I was just starting my third trimester and was preoccupied with many other things and I can’t for the life of me remember anything about where the recipe came from except for the fact that I found it online! I have searched and searched but no other recipes that I have found call for as much fruit, include lemon in both the filling and the crust or have the same simplicity as the recipe I once had a brief summer interlude with a few years back. I may never know this particular galette again and it’s a pity for its luscious taste still stands strong and true in my mind to this day. 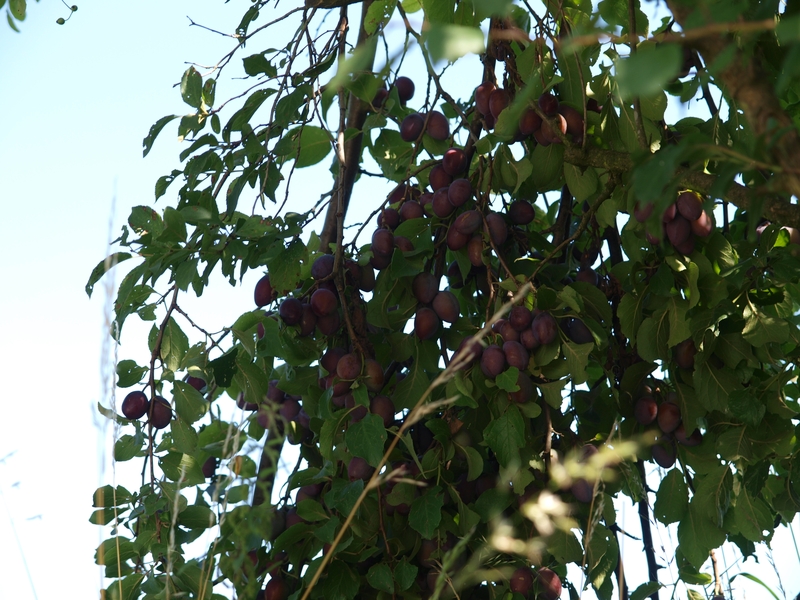 However, this plum season with a little luck (and some experimentation of course!) 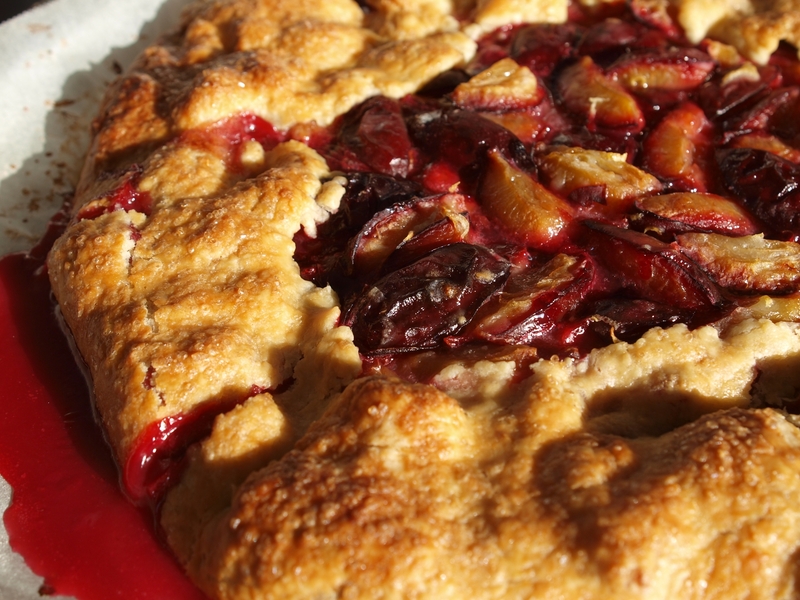 I think the plum galette I recently made may have turned out even lovelier than the one I once knew from summers past. 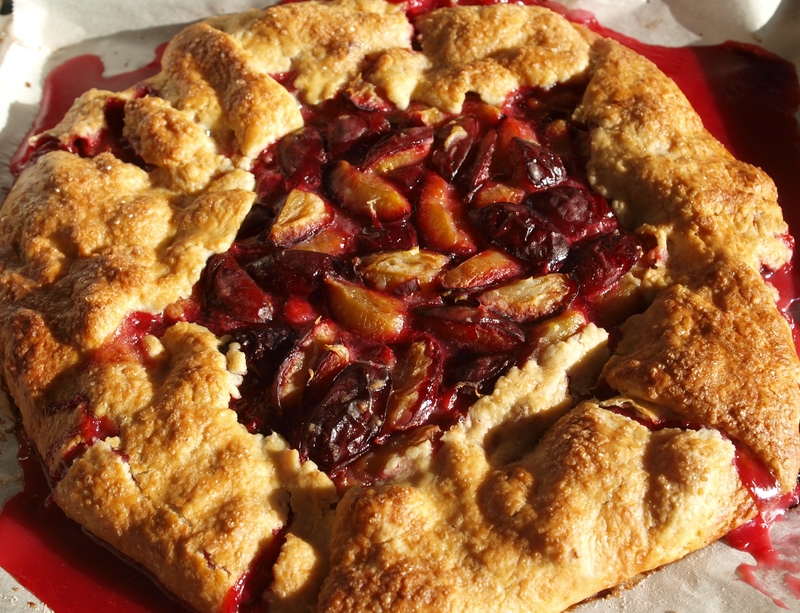 And it was not until I made this fabulous plum galette that my brain started to truly register what it was that I had long ago forgotten about this wonderfully versatile and amazingly tasty stone fruit. Put the flour and sugar in a food processor and blend to combine. Cut the butter into tablespoon sized pieces into the flour mixture. Blend until crumbly and the dough just starts to come together. Add 4 tablespoons of the cold water and blend then adding one tablespoon at a time blend until the dough clumps together and forms a ball. Gather all the dough mixture into a ball and flatten into a round. Cover with plastic wrap or foil and put in the fridge for at least half an hour and up to one day while you prepare the filling. Preheat the oven to 350 degrees Fahrenheit. Mix the plum quarters with all the other ingredients in a large bowl. Roll out the chilled dough so that it will be large enough to hold the plum filling and there will be about 3 to 4 inches of excess dough all around. Place the rolled dough on a baking sheet lined with baking paper. Pour the filling in the center and with the remaining edge fold the dough up around the filling covering the entire perimeter of the plum filling. With a pastry brush coat the dough with milk and sprinkle with cane sugar. Bake for 1 hour until the crust is browned and the filling starts to bubble and overflow. Allow to cool for about 20 minutes and up to 1 hour. Serve right away. Any left overs can be stored in the fridge and enjoyed cold too! 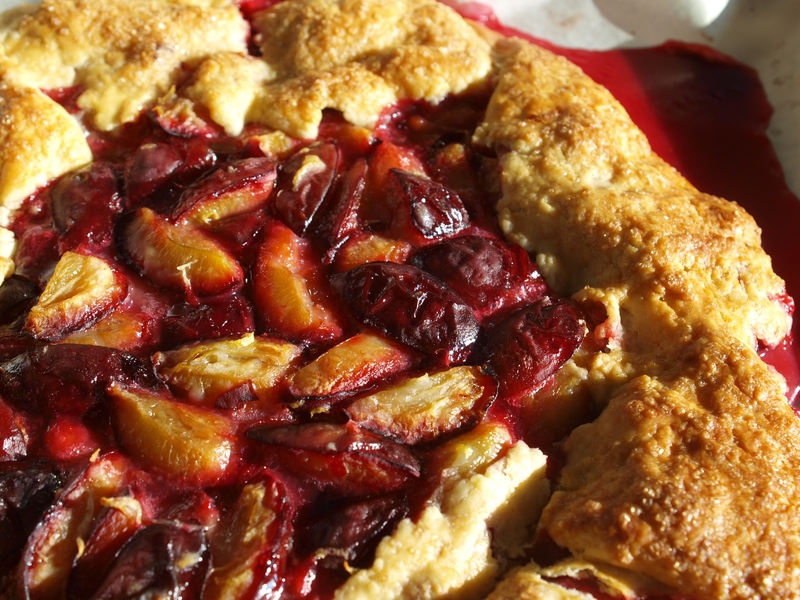 Your plum galette looks beautiful. 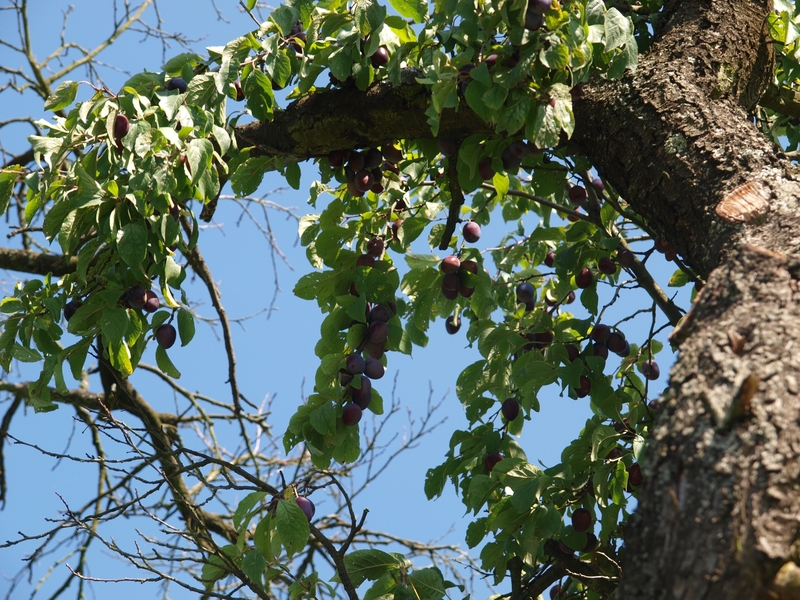 We had a beautiful Japanese plum tree but lost it in a ice storm. 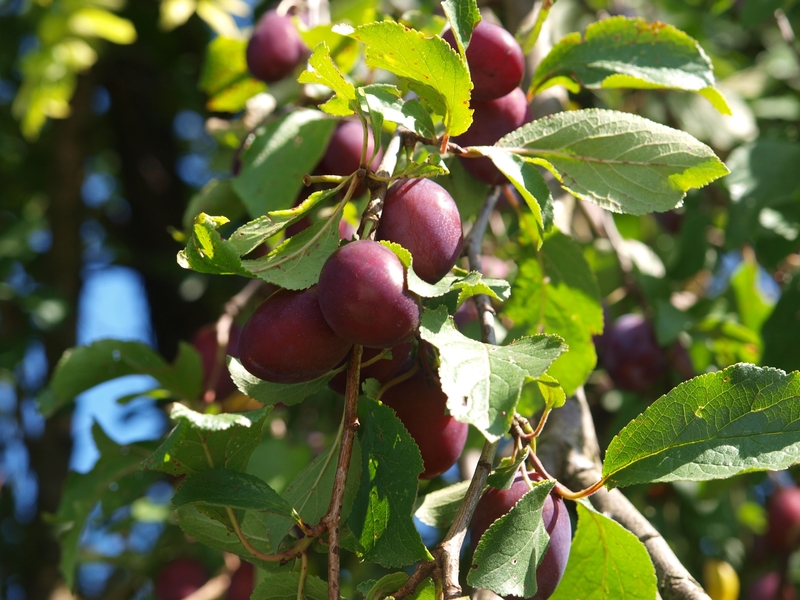 When it think of plums, I always think of a plum cake I had one afternoon at a little cafe in Bavaria. I will be making your galette. Thanks Karen! 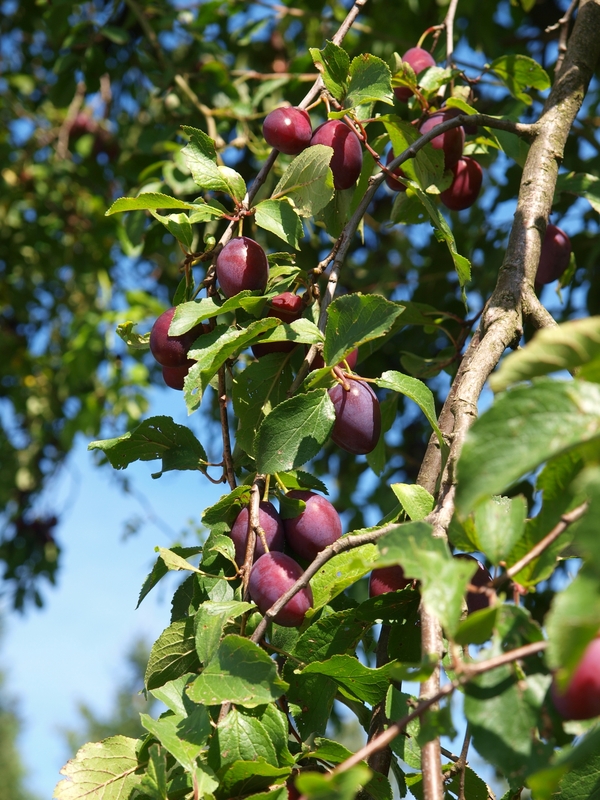 I noticed that plum season is a big deal here in Germany, much more so than in the U.S. I think. I hope you enjoy this galette as much as I did. 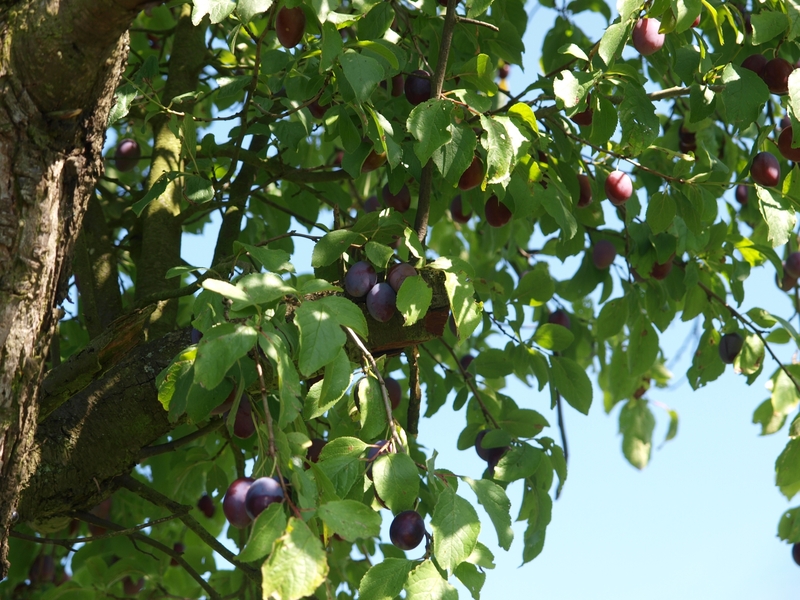 I think you are right about plums being a big deal in Germany. 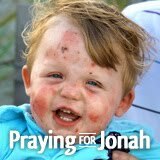 Thank you for adding me to your blogroll. I am honored and have placed you on mine as well. I think people will enjoy your blog.